If I were to take you all on a trip to London, during which we visited some of the great and old sights of that city: the tower, remains of the Roman wall, the Abbey, St. Paul's, and more recent ones such as Westminster Cathedral, the National Gallery and Madame Tausaud, and when we returned I asked you all to write of your experiences, each of these would be different, some would vary slightly, others greatly, but all would bear some resemblance to the trip we shared. Now, that is basically how much of the Hebrew Scriptures, what we know as the Old Testament, has come down to us. Over the centuries various accounts and explanations were made of the same happenings. For example in the very first two chapters of the bible we have two accounts of how the world and man were created. Those of us who are studying the book of Exodus at present should be conscious that there are often two accounts of various events. For example the book opens with two different versions of where the Hebrews lived: one has them living in the province of Goshen, where they are being used as forced labourers on the building of the pyramid, and the other has them living amongst the Egyptians where the midwives controlled the Hebrew population. There are two accounts of the calling of Moses, (one in chapter 3 and the other in chapter 6); of the actual exodus from Egypt (13:17-19 & 14: 7,10,15,19,20), the Passover (ch.12) and even of the giving of the Decalogue, the Ten Commandments (ch.20 & Deut. 5.). And if you keep on reading your bible you will find different accounts of how the Hebrews fought against the various tribes in Canaan and settled in the promised land and so on throughout the history of Israel. I think it is important in our understanding of the Jewish tradition, which is also our heritage, that we see the contents of the Old Testament, especially the Pentateuch and historical books consisting of various accounts and editing until it reached its present form somewhere around the 3rd C. B.C. This final form made use of predominantly four different sources what are commonly referred to as J, E, D and P. With J and E sometimes the editor(s) combined these two sources so intricately that we talk of a J-E account. This is especially true in parts of Genesis. Of these sources the earliest is J, written c. 950, and represents the name given to God, Jehovah or Yahweh and was compiled in the southern kingdom, known as Judah when the kingdom split after the reign of Solomon. E. was compiled probably a century later, c.850 and represents the name given to God Elohim and comes from the northern kingdom, known as Israel. D. is the work of the Deuteronomists in the 7thC who were responsible for some of the historical parts of the Hebrew Bible, but above all for most of the book of Deuteronomy by revising material in Exodus, Leviticus and Numbers, and as such is often referred to as the Law. That Law as in 2Kings 22.1-23.30 was supposed to have been founded by the boy king Josiah in the Temple, who then insisted on its observance through his reforms as recorded by the Deuteronomists. P represents the version written by the priestly school after the Jews returned to Jerusalem from exile in Babylon in the 6thC. B.C. The priestly scribes set out to bring a legal code for the Jews in post-exilic times, and thus emphasised the importance of the Law. It was this version that was to have the main impact on the final edition of the Old Testament, especially the Pentateuch and thus so much of what is the earliest time in the history of Israel was written years and years after the events had happened. "By the waters of Babylon we sat down and wept, when we remembered thee O Zion. ... How shall we sing the Lord's song in a strange land?" That time estranged in the land of Babylon, the Jews were reminded by the prophets that "I am your God and you are my people" and "God remembers His covenant." He would not desert them as seen when the Persian king, Cyrus conquered Babylon and allowed the Jews to return home and rebuild their temple in Jerusalem. God had kept His promise to be with them. The religion associated with the temple and all its ritual was dominated by the priests, the Levites, the tribe of Aaron and Moses. So the P account was written when the keeping of the Law was demanded, sacrificial worship was renewed, and the priesthood was elevated. As the priestly scribes looked back on Jewish history they interpreted other significant events of their history in the light of this time. "I am your God and you are my people" had always been true on God's part. Hence Moses came to be seen not only as the great Law-giver but also as the great deliverer when the Hebrews were in slavery in Egypt. God used him to bring them their freedom and to give them some identity as a nation, a special race of people to Yahweh, bound to Him through the giving of the Law. So the Passover came to be celebrated as a yearly reminder of their deliverance and exodus, and the rite of circumcision took on crucial importance. The giving of the Commandments, and the Law at Sinai for the priestly scribes became the most significant event in their history. God entered into a covenantal relation with His chosen people. But Sinai or even the Exodus could not be the start of Hebrew history for these editors. There had to be a prologue to the events in Exodus, which is what the book of Genesis fulfils. "I am your God and you are my people" is a P. theme, going back to the very beginning. Hence the P. account in Exodus clearly traces Moses' ancestry back to Abraham with whom Yahweh had made covenants. Indeed when we read Genesis it is full of covenants that God made, the one with Abraham being the most significant for the Jews and later for Christians. Thus from the P source covenantal theology became one of the most important themes in the Old Testament, a theme, which had also been promoted by the prophets, and more importantly in the New Testament through Jesus Christ, and then in the early church. It is also very much part of the life of Catholic Christians. So let us have a look at those various covenants that became important in both Jewish and Christian traditions. But before I go any further, let me explain what is a covenant. A covenant is a solemn act undertaken by two parties, in this case God and man, whereby they mutually bind themselves to do, give or receive something. There is also an outward sign used to ratify and confirm the promises. To illustrate, let me take baptism, something with which we are all familiar. When we were baptised, we or our Godparents promised three things to God: to renounce Satan and all his works, to believe the articles in the Apostles' creed, and to keep God's commandments and His holy will. The Trinitarian God in turn made us a child of God, engrafted us into Christ's body, and made us a potential inheritor of the kingdom of heaven. The symbol to ratify this covenant is the sign of the cross when we are marked Christ's forever. Within the P. and Christian tradition the first covenant God made with man is known as the covenant of works and was a voluntary one after God made him in that holy and heavenly image of Himself, wherewith his soul was blessed and beautified, shining in him without any blemish. It was in this state of innocence and holiness that God made His first covenant. Under this covenant Adam could have lived forever, ever enjoying the felicity of heaven as he had fullness of all knowledge, content and happiness. This covenant was imprinted in the heart of him, whereby he knew what was good, and had ability to perform it. God through His mercy had provided him with everything he needed, and had made him His lieutenant upon earth and lord over all the animals and plants. All that was required of Adam was obedience to God's one command. However he was not content to live honourably with His Maker and so "this Cedar of Paradise had his fall" when he disobeyed God. His disobedience meant not only he, but all posterity was condemned to death and deprived of eternal felicity "by that first covenant of works." As St. Paul tells us, "all have sinned and come short of the glory of God," (Rom.3.23). The second covenant God made is before Adam was expelled from the garden and forced to toil the earth. This is known as the covenant of grace, and is the beginning of God's redeeming work for fallen man. Indeed God revealed that His love and mercy were greater than his justice and wrath as before banishing Adam and Eve from Eden, he announced that the seed of the woman will bruise the serpent's heel. As Paul writes in Galatians, through the seed of the woman, God would restore mankind "into his favour, and to that state of happiness they had lost by the means of a mediator Christ Jesus" (3:22). It is also the reason why Mary is depicted as the second Eve as through the Virgin Birth Christ was born. His life and death of obedience fulfilled the covenant that Adam had broken. But it also paved the way for God to have a chosen people in the process of redemption. Before God renewed this covenant of grace through the Patriarchs in Genesis, there was another covenant God made. It is a covenant with a reoccurring theme throughout the Old Testament, especially in exilic and post-exilic times. God chooses a remnant to carry out His redeeming work and makes covenant with them. In Genesis this remnant is Noah and his family. The descendants of Adam and Eve had been so sinful that God decided to make a fresh start by causing a flood. God's covenant with Noah was that He will save him and his family providing Noah does what God directed, that is, to make an ark and take on board every species of animal and plant. 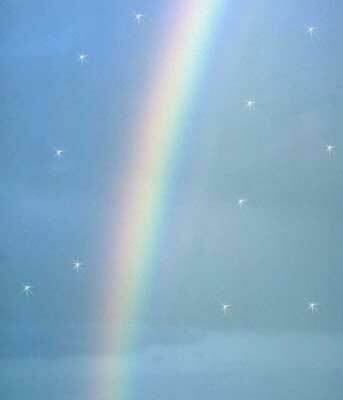 The symbol of this covenant was the rainbow, a sign of God's promise of redemption to Noah and to His creation. The theological implication of the Flood is God's judgment on sin and His love for righteousness. There are parallels between the great flood, and the exodus of Moses and for us in the waters of baptism. Here the immersion into the water symbolises death to sin, and emergence afterwards to new life in the resurrection of Christ. Indeed Peter in his letter showed the relationship between the great flood and baptism when he explained that in the days of Noah through the ark, eight persons were saved. Now baptism which this prefigured, saves you. What Peter did is to depict Noah as a proto-type of those who look to God in faith and are thus redeemed from the destruction which sin brings, whilst the ark is Christ in whom the faithful remnant is "saved though water" (1Pet.3.18,20-2). The next covenants in Genesis are also more theological than historically accurate. These are the ones made with the patriarchs: Abraham, Isaac and Jacob. Many scholars believe that these three are unrelated but have been combined in order to reveal God's continued contract with His chosen people by the editors. The call and covenant with Abraham is recorded in chs. 12-18. The word covenant occurs no less than thirteen times in chapter seventeen. God called Abram, renamed him Abraham, and told him that He would make of him a great nation, would bless him and make his name great. Moreover he is told to migrate from his home beyond the Euphrates to another country, Canaan, the Promised Land, the land flowing with milk and honey. (12.1-3). This promise is made to Abraham four other times (15.4-7, 18-21, 17.4-8, 22.17-8), which is indicative of the various versions incorporated. On this journey he set up altars at the oak of Moreh near Shechem and Bethel to worship God, which reappear as sacred shrines with Jacob and indeed many after him. The author of Hebrews refers to this journey to the Promised Land by the patriarch as one of faith (11.8). In his covenant with Abraham God introduced Himself as God Almighty (El Shaddai), and although Abraham will be the father of many nations it is clear that His covenant is with one particular people, the Israelites. In choosing these people God revealed that His people, although of no political importance in world affairs are His and will be blessed with many favours and gifts. He will work with them in His process of salvation for mankind. What Yahweh did for these people He does with us through our baptism, showering us with gifts immeasurable too. In the priestly account of this covenant, God announced to Abraham that the sign and the agreement of His covenant will be circumcision. Every male was to be circumcised on the 8th day after birth, a rite that would separate this chosen race from others, and which became increasingly important after the exile. God also informed Abraham that his barren wife Sarah would bear a son to perpetuate the covenant. Their son Isaac was thus circumcised by Abraham on the eighth day, just as Jesus Christ was. Accordingly on Abraham's death God renewed His covenant with Isaac (26.3-5). In renewing His covenant with Jacob (35.11-12) and not the rightful heir Esau, introduced a new approach by God. He did not bind Himself to the natural principle of inheritance as He chose the younger son. This was the forerunner for other times in Israel's history that God did this, for example, David, the great hero in Jewish history, not to mention that in Genesis itself there are two examples: Isaac not Ishmael, Joseph and not Reuben. By choosing Jacob God showed how He uses a sinful man for His work. In Genesis Jacob's early life was depicted as a long and roundabout journey toward righteousness and fellowship with God. After fleeing from his brother, his encounter with God in a dream at Bethel was a turning point in his life. In his vision of heaven, God announced Himself as the God of Abraham and Isaac, which brought forth from Jacob that wonderful utterance, "Surely God was in this place and I did not know it. How awesome is this place! This is none other than the house of God, and this is the gate of heaven." Like Abraham he too set up an altar here (28.10-17, 35.7). Jacob is thus pictured as one who has "striven with God and with men"; and God acknowledged this by renaming him "Israel." (32:28). Twelve of Jacob's children: Reuben, Simeon, Levi, Judah, Dan, Naphtali, Gad, Asher, Issachar, Zebulun, Joseph and Benjamin became the traditional fathers of the twelve tribes, collectively known as Israel, and settled in various parts of Canaan. The other main character in Genesis is Joseph. It is interesting to note that God did not renew His covenant with Joseph, and that the account of Joseph is quite different from that of Abraham and Jacob. However it is through him that his father and brothers migrate to Egypt. Joseph's coming to Egypt is one of those bible stories practically everyone knows. His brothers, jealous of their Father's affection for him, decided to dispatch him. One account tells of the brothers selling him to a caravan of Ishmaelites travelling to Egypt. Joseph rose to prominence in Pharaoh's ministry, and during the famine, which he predicted, was in charge of distribution of corn. Although on the surface the emphasis is on the reunion of Joseph with his father and brothers, from an editorial point of view, the real point of Joseph's story was to bind chronologically the patriarchal period in Canaan and how some of the Israelites came to be living in Egypt in the next book, Exodus and the renewing of the covenant under Moses' leadership. God heard the complaints of the Israelites in Egypt and, remembered the covenant He had made "with Abraham, Isaac and Jacob" (2.23) and acts. He thus committed signs through Moses and his brother Aaron; He caused the various plagues in Egypt, He slayed the first born amongst the Egyptians but passed over the Hebrew homes - that is the PASSOVER. He delivered the Israelites from Pharaoh by crossing the Sea. He gave them the Commandments. He fed them in their wanderings. He brought them into the promised land, the same as he had done with Abraham on that journey from Mesopotamia. The climax of Exodus is Mt. Sinai, reached fifty days after the leaving Egypt. In later Jewish history the events of Mt. Sinai marked the beginning of this motley, nomadic people, released from oppression, of becoming a nation based on a covenantal relationship and a belief in a monotheistic God, "I am the Lord thy God"' "you will have no other Gods but me", rather than worshipping idols or totems as other around them did, or indeed they themselves had practised and will practise. In giving the Hebrews the Ten Commandments Yahweh expected obedience to this religious, moral and justice code. Israel according to the P. source is to be "a priestly kingdom and a holy nation" (19.6), later echoed by Peter's "you are a chosen race, a royal priesthood, a holy nation, God's own people." (1Pet. 2.9). Thus both under the Old and New Covenants the same message is clear. In the midst of pagan people, the Israelites and Christians have been singled out by God to be His peculiar people. I am your God and you are my people. We are bonded together, even though this bond will be strained time and time again by sin. I shall always remember My covenant, says God. These Commandments given at Mt. Sinai by God have become the foundation of codes of behaviour for many societies. For Catholic Christians they are still used as one of the guides for examining the conscience before Confession, and so they cannot be easily dismissed. By reading the Gospels we know how important they were in our Lord's teaching and His time. For example, when the rich ruler asked Jesus what he must do to inherit eternal life, our Lord informed him that the first rule was to keep the Commandments of old (Luke 18.18-21). Paul too highlighted the keeping of these Commandments in the apostolic Church ( Rom.13.8-10) . After Moses read the Ten Commandments there follows in Exodus what is called "The Book of the Covenant", but this is unlikely to have been a single document originally. This covers laws concerning the altar, how God is to be worshipped, slaves, violence, property, social justice, judicial integrity, the keeping of the Sabbath (not with all the restrictions it will later have) and other festivals such as keeping of unleavened bread (note this is not known yet as the Passover, the harvest (which later become known as Pentecost) and the ingathering (which later becomes the feast of Booths or Tabernacles). The agriculture names of these feasts tell us some of this account is from the earliest source, J. After the people agreed to the terms, the covenant was sealed with the sprinkling of blood over them, the blood of the sacrificial calf. Blood, which also implies the giving of life, thus became the sign for the old covenant between God and His chosen people. Blood would also be the sign of the new covenant. Later on in Exodus there is a description of the building of the ark of the covenant to house the Commandment tablets, which are carried by the Israelites into Canaan (25.10-23), in battle, and at one stage in their battles is captured by the enemy, the Philistines (1Sam 4.11). During the history of the Israelites the ark denoted the very presence of God. Yet the very first thing the Hebrews do after receiving the Commandments from Yahweh is to break the covenant they had made with Him by worshipping an idol in the form of the Golden Calf (ch.32). The description of the making of this golden calf in Exodus is identical to that in 1Kings12 as expressed by Jeroboam and has been lifted by the editor. After all the bull was a common deity in Canaanite culture. However the more important question to be asked, why did not God slay these people and start afresh as He had seemingly done formerly? The answer seemed to be in Moses who acted as a mediator and struggled with God and implored Him to avert destruction by remembering the covenant He had made with Abraham, Isaac and Jacob, and above all to forgive His people. Yet Moses' throwing down the tablets and breaking them signifies the breaking of this covenant, which is subsequently renewed after God announced to Moses that He will renew the covenant. Nevertheless the Hebrews were a sinful lot with their grumblings, immorality and apostasy. It is doubtful whether these people realised the significance of the events of Mt. Sinai and explains why they complained so much in the journey. Indeed Moses himself was not allowed by God to enter the Promised Land, only to see it, because of the sins committed during the journey by the Israelites. That privilege was granted to Joshua, (Jesus in Greek) and so just as Joshua was the leader into Canaan, the Promised Land, so Jesus Christ in the new Covenant is the leader to the new land, the kingdom of heaven. There at the ancient holy shrine of Shechem, where Abraham had paused on his journey to worship, Joshua assembled the Israelites who declared, "it is the Lord our God who brought us from the land of Egypt, that "we shall serve the Lord" and obey "His voice". With Joshua these people once again entered into covenant with Yahweh (Josh.24.17-25). When Israel was a child, I loved him, and out of Egypt I called them, the more they went from me, they kept sacrificing to the Baal, and offering incense to idols. Hosea also compared Israel's unfaithfulness to God with that of an adulterous wife. Just as the husband waits for repentance and his wife to return so does God. Both are ready to forgive and to renew the relationship. But this repentance must be sincere and long-lasting. (Ch.3). What wrong did your ancestors find in me that they went from me, and went after worthless things, and became worthless themselves? I brought you into a plentiful land to eat its fruits and its good things. But when you entered you defiled my land, and made my heritage an abomination. So Jeremiah reminded the people the covenant they had made under Moses: to be "my people" and "I will be your God" who has promised to be faithful to you. (11.4). The exilic and post-exilic prophets made it clear that God's covenant with men will never be kept perfectly as He is dealing with sinful men. Jeremiah had spoken of a new covenant God will make, a covenant not written upon tables of stone, or even priestly scrolls, but in the heart. Thus this covenant will not be like the one made to their ancestors, broken over and over, but it will be based on God forgiving their sins (31.31). It will look forward to the One who forgives sin and absorbs all sin in His body. This theme was developed by the writer to the Hebrews when he spoke of Christ being "the mediator of a better covenant" (Heb. 8. 6). So in making a "new covenant" the old is made "obsolete". No longer will the blood of animals" signify sacrifice for sin, which in fact it could not do, but in Christ's sacrifice, once for all, sin is forgiven, and He is now the mediator between man and His father (10.1). and Jeremiah announced, "Behold, the days are coming, says the Lord, when I shall raise up a righteous shoot to David" (23.5). In Trito-Isaiah's proclamation the covenant went further. It would be fulfilled by the Messiah (Christ), but alone and forsaken. : "I have trodden the wine-press alone, and from the people no one was with me" (63.3). At Christmass we celebrate the reality of the promised Messiah. Our Lord in living a life of perfect obedience to His Father, ushered in what is known as the New Covenant. Christ is the second Adam, the new Moses, the new Joshua, "the son of Abraham" who leads His people into the true promised land, the kingdom of heaven. The old covenant made with Israel is superseded by the new Israel, the body of Christ, the Church. Just as the old covenant was sealed with blood, so is the new covenant, the blood that flowed from the side of Christ at Calvary. That new covenant is commemorated each day wherever the Eucharist is celebrated. As St. Paul's tells us in perhaps the earliest account of the institution of the Eucharist, "This cup is the new covenant in my blood" (1Cor. 11.23). During the prayer of consecration we hear the priest say, "This is my blood which is shed for you, do this in remembrance of me." But how many of us reflect on why we come to Sunday Mass other than being an obligation to be met? It should be a time for pondering on why Our Lord instituted the Holy Sacrament as well as a time of preparing ourselves to receive that Sacrament. By having His crucified body before our eyes, it reminds us that in the Sacrament we are partakers of his sufferings and united with Him in those sufferings as we leave the church. Indeed at that moment when we receive the Blessed Body and Blood it is the most precious moment of each day. Never are we as close to our Saviour as at that time and we can hear His cry from the cross, here is remission of your sins and only in my death can you have salvation. How many of us too are conscious that we live under covenant? "I have been crucified with Christ; yet I live, no longer I, but Christ lives in me" (Gal. 2.19). Thus the covenant of the New is no less important to Christians than that made to Moses and his descendants for the Jews. Paul tells us that in Christ there is neither Jew nor Gentile, slave nor free, male nor female. Every man, woman and child can be a partaker of this new or better covenant through Baptism which supersedes circumcision, the sign of the old covenant. In Galatians it becomes very clear whom Paul sees as to the true heirs of Abraham and the covenant. It is not those who slavishly keep the law of Mt. Sinai but those who live in faith as Abraham did after God called him. The covenant with Abraham was through the promise, not from the Law that was given long afterwards. This promise with Abraham was that he would also be the father of many nations. It was through the promise, not from the law, God renewed his covenant with his descendants until it was completely fulfilled in Jesus Christ. Now that covenant is open to Gentiles too, so that all who are baptized are made one in Christ, and therefore are the rightful heirs of the promise made to Abraham. Faith, not the law, is the main ingredient for the baptized. So the children of God through Christ live by faith as did Abraham and not by the law which has been terminated in Christ. Through that faith God sends His Spirit to work within us. Under the new covenant it will be the Spirit that releases the children of God from slavery of sin, and makes them free. So that means for all of us who are baptised have made a covenant with God. We must never forget that covenant is sealed with the sign of the cross. It is in the cross of Jesus that we have to be faithful to our baptismal vows. How important these vows are in our Christians lives is illustrated in our renewing them at the Easter Vigil each year. Yet we break them over and over again if we are honest. So God as it were has a second seal to this covenant, which can be renewed whenever we receive Christ's Body and Blood at the Eucharist, provided we come repentant of our sins. Just as Christ superseded the old covenant, so does His giving of the great commandment on love supersede the Decalogue given to Moses. Based on the summary of the law as recorded in Deuteronomy, known as the Shema (6.4), Christ demands of us a love that is above all earthly love. It is a love that is as sacrificial as Christ's own death. That is why the crucifix is in the centre of our churches to remind us what Christ has done in bringing in the new covenant and that we are sealed by that death in our covenant with God. Our faith is a costly business to self and sin but abounding in generosity and love to God and others through the power of the Holy Spirit. By the terms of our covenant we are partakers of the kingdom of heaven and promised "such joys as neither eye hath not seen, nor ear heard, neither hath entered into the heart of man" as Paul wrote (1Cor: 2.9). During His ministry Our Lord made it clear how we must live to be a partaker of this kingdom. Learn Who I am. Learn my teaching. Learn from my example. How do we do this? Here are two ways. One is utilising our time in Church, especially before Mass by simply gazing upon the crucifix. Let the crucifix speak to you. "'Greater love than this hath no man, but to bestow his life for his friends,'" but Christ's love went further as He lay it down for His enemies, including those who sought His death. Yet that great love stretched out on the cross endured all injuries even to the piercing of His very heart so that we can live forever. Those outstretched arms also embraced all sin. Such gazing on the crucifix helps us to be mindful of the cost of our sins and how often we add to that cost by our daily sinning, and the immense love of the Son of God for us all. We can never thank Him enough. What a wonderful preparation this is for being in the right frame of mind for the celebration of the Eucharist and receiving the Blessed Sacrament. Another way is by reading and reflecting on the Scriptures, especially the Gospels. A good way to become familiar with scripture is to use the daily readings for Mass as the basis of meditation and prayer for the day. Read them as part of morning prayer time, and reflect as much as time permits. This means that when we hear them read at Mass we are already familiar with them, and so we can focus on a particular part of the readings that we shall try and keep in mind for the rest of the day. Over time this enriches our personal relationship with our dear Lord. And of course Bible Study Classes also help us to know the Scriptures better. From studying Exodus, the themes of "I am your God and you are my people"; "God remembered His covenant"; "I have heard your misery"; "I care for you"; "I shall never forsake you"; and "I shall lead you to the promised land" give a deeper significance to our lives as Christians. These words of the psalmist sum up this presentation. May they be embedded in our thinking and understanding of this important theme of covenant, not only in Exodus but also throughout Scripture and in the Catholic tradition of how we keep our baptismal vows. Every time we enter the Church and sign ourselves with the sign of the cross with holy water, is, or should be a reminder of our baptism. Think of this next and every time when you enter the church and you will be amazed at the difference it makes to your time in church. The crossing of the Red Sea began the journey towards the Promised Land for the Hebrews; in baptism when we are washed clean of sin, we begin our journey to our promised land, heaven. God will keep His side of the covenant; it is up to us through the power of the Holy Spirit, prayer, reflection on Scripture and the Sacraments to keep our side too.